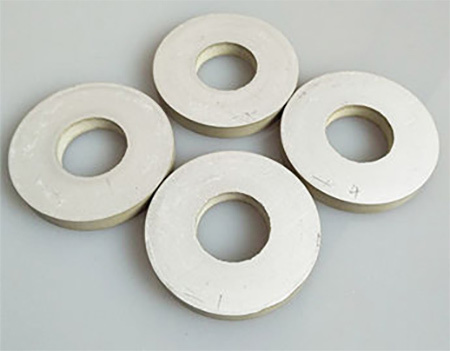 Smart and Piezo Ceramics Fabrication Coolant is the lifeblood of your smart and piezo ceramic manufacturing process. Properly filtering and separating ceramic fabrication coolant so you deliver clean coolant at the right flow and pressure is very important to produce predictable fabrication tools life, as well as superior part quality, and to deliver to your customer (or furnace) the highest quality smart or piezo ceramic parts you can. CentraSep Centrifuges installed their first brittle material fabrication filtration and separation centrifuge in 2000 on a glass grinding line. Since that time, CentraSep Centrifuges has become the preferred solution for filtering and separating for all types of glass fabrication, smart and piezo ceramic fabrication, and other types of fabrication coolant, and is considered part of the “Best Practices” of the leading glass fabrication facilities across the globe. Today, CentraSep Centrifuges has glass, ceramic and other fabrication coolant filtration and separation systems in 18 countries, and offers custom turnkey fabrication coolant filtration packages for rapid installation, that deliver simplicity, performance and reliability unrivaled in the filtration and separation industry. While the competitive landscape of the glass, smart and piezo ceramics fabrication industry continues to change, an effective ceramic fabrication coolant filtration and separation solution can give you a competitive edge and dramatically and positively impact your bottom line. Our experienced and dedicated team of engineers, technicians and manufacturing personnel understand the smart and piezo ceramic fabrication industry, and they will work with your team to develop a process improvement centrifuge solution that decreases your costs and increases your profit. CentraSep Centrifuges is the proven leader in glass, smart and piezo ceramic fabrication coolant filtration. Since 1981, CentraSep Centrifuges has specialized in solving problems through application engineering. Nowhere is this problem-solving approach more apparent than with our centrifuge systems, which were developed after listening to customer challenges and needs with their filtration, separation, and maintenance of their fabrication coolant. CentraSep Centrifuges can offer you savings in labor expenses, filter media purchases, inventory and disposal fees, and coolant replacement. Contact us today to see how CentraSep Centrifuges can help you with your smart and piezo ceramics fabrication coolant filtration application. Talk to one of our Engineers today to see how we can help with your smart and piezo ceramics fabrication coolant filtration and separation needs.